There are a variety of reasons why patients enhance the beauty of their smile. It’s important to seek the assistance of a compassionate dental professional who has the technical skill to create a vibrant, long-lasting aesthetic. At Tridont Dental Centre, we provide cosmetic dental service for patients throughout Brampton, ON. Our multi-specialty staff offers cosmetic dentistry backed by over 70 years of combined experience. Contact our practice today to schedule a cosmetic consultation today! Having a cavity filled doesn’t mean you have to lose aesthetics. For patients with small cavities or minor chips and cracks, white fillings made of composite resin can fill these spaces. There are a variety of materials used to create crowns, but we strive to use those that resemble your natural enamel. We recommend crowns for patients undergoing root canal therapy, as well as those with extensive damage. These restorations protect the tooth from decay and restore the structure. If you are missing teeth, a fixed bridge can replace them. Made to look and feel like natural teeth, bridges use neighboring teeth to be capped with crowns to hold the false teeth in place. Perfect for both missing molars or teeth near your smile line, fixed bridges are fabricated with tooth-colored materials for a seamless treatment. At our Brampton practice, a simple cosmetic dental procedure is our in-office and take-home whitening treatment with Iveri®. If you have an important event to attend or would like to start your full-smile makeover treatment with evenly shaded teeth, whitening is a recommended procedure. These thin layers of porcelain create a new aesthetic by not only brightening the smile but creating uniformity as well. If you have major chips, misshapen teeth, or deep stains, veneers can renew your smile to your desired expectations. Having a straight smile is not only beneficial to your oral health but the beauty of it as well. Along with traditional braces, we also provide a cosmetic alternative through Invisalign clear aligners. For patients looking for a solution to ill-fitting dentures, dental implants are a permanent treatment that restores jaw function and replaces missing teeth. Any of our cosmetic dental restorations can be affixed to dental implants, and we provide placement in-office as well. Renew The Look of your Smile Today! --- Contact our Brampton Cosmetic Dentist! At Tridont Dental Centre, we want to help patients smile with confidence. 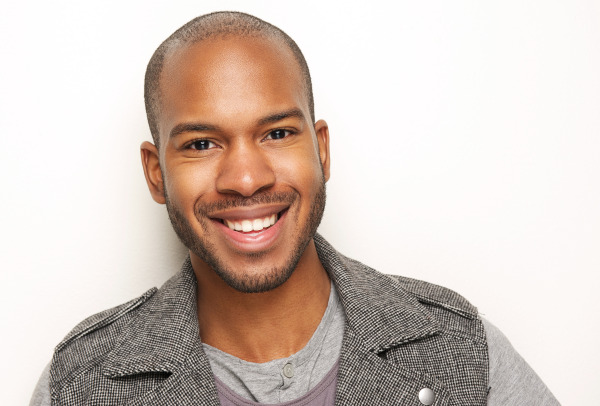 Call our practice today to learn more about cosmetic dentistry!